I thought I would touch on the subject of rising damp again as many properties I visit show the familiar signs of rising damp like tide marks and salts appearing internally and externally. The problem I have is that many consumers who have had or fallen for the rising damp treatment have spent thousands of pounds without understanding how a cavity wall construction works. So let me enlighten you! Basically you have two walls, one on the outside and one on the inside and these two walls have a gap between them (a cavity). 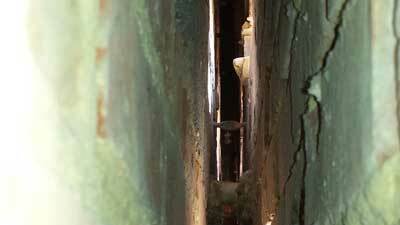 The two walls have metal ties holding them together so that they do not move. You also have a damp course at the bottom which is roughly at floor level, this damp course is on both walls and prevents moisture rising up from the ground. 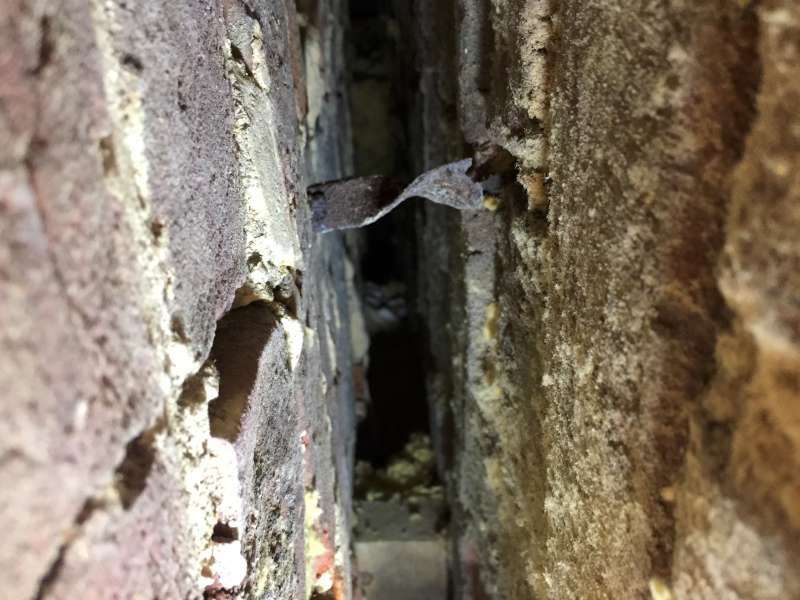 When houses are built with a cavity it is inevitable that some mortar and debris will fall into the cavity, either onto a wall tie or straight down to the bottom. Nowadays we use ways to prevent it like laying a strip of baton inside the cavity but older properties seem to have a lot more debris. It’s not only when a property is built though, alterations to a property or careless work from a tradesman could cause mortar, broken bricks, to fall inside the cavity. What does this have to do with rising damp you ask? 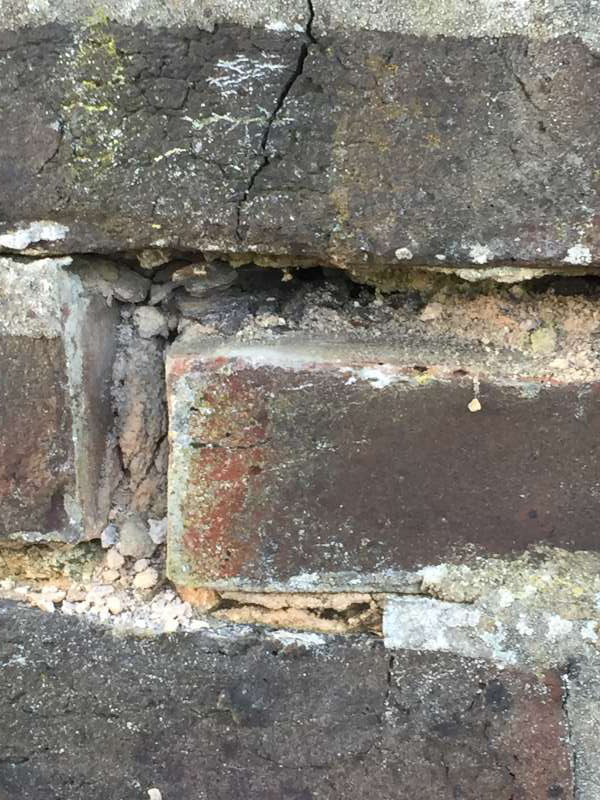 When mortar breaches the damp course solidifying in the gap it will allow rain to penetrate through the external wall and across the cavity onto the internal wall. So these tide marks and salts coming through the wall could well be rubble or solid matter breaching the cavity. Are these damp injection specialists jumping the gun before thoroughly inspecting the property? What is the point in injecting a new damp course to the external wall if the cavity was clear? Surely any rain soaking through the external wall would not be able to track across. By ensuring the cavity is clear and the damp course is not breached the problem will be solved.